Infamous Kiss axeman, Ace Frehley's appearance at the Summerfest, Milwaukee, WI on 29th June 1987 was one of the first performances to herald the arrival of the band's album Frehley's Comet. Frehley possessed plenty of ammo musically and also in terms of back catalog from which he could pick and choose randomly at will. Together with Frehley's defiant bruisers Rip It Out and New York Groove, the Kiss numbers are never far away and the appearance of Shock Me, We Got Your Rock and Rocket Ride only further confirm his almost celestial status as a master guitarist. 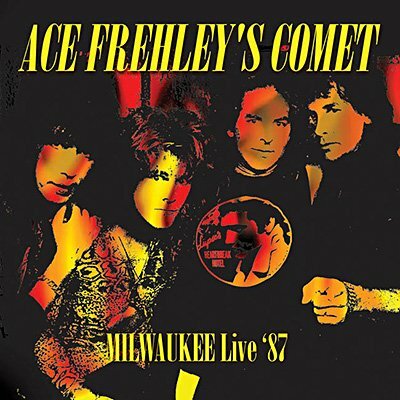 Echoes proudly presents the entire 93 WQFM broadcast of the legendary Ace Frehley performance with Frehley's Comet at the Summerfest, Milwaukee from 29th June 1987.